A Big Mac Burger from McDonald’s is one of the most popular burgers among the Fast Food Industry. But as much as many of us love hamburgers, many of us try to refrain from eating burgers often, me included. I had a taste for a Big Mac Burger but instead of giving in to the temptation, I decided to create a Big Mac inspired Salad. Giving you all of the things you love about a Big Mac minus the burger buns. 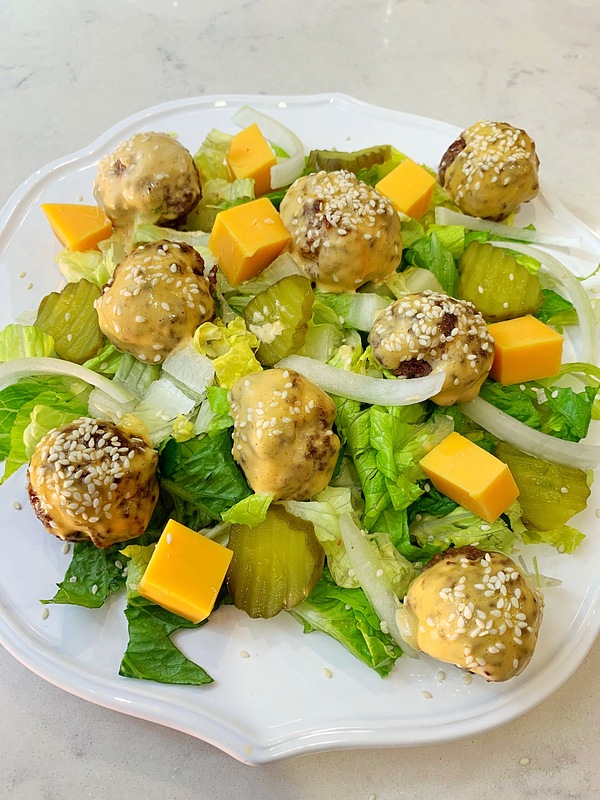 A few simple ingredients for this yummy Big Mac Salad. Who doesn't love a Big Mac? 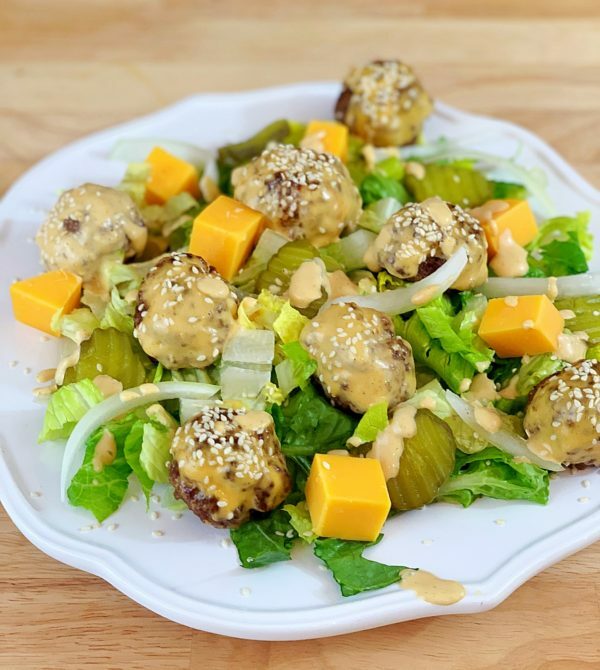 This is a Big Mac inspired salad. 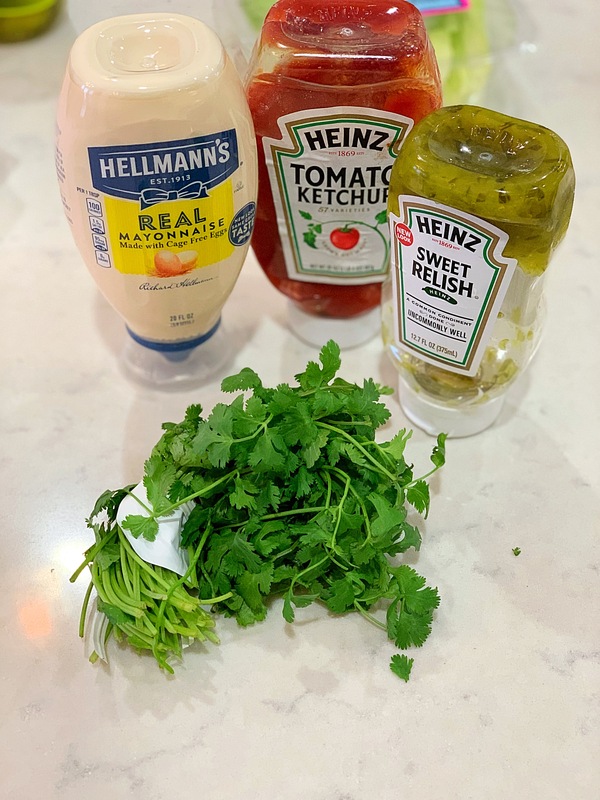 Add all ingredients for the dressing to the blender. My blender has a feature for dressings so I chose that and it blended all ingredients together. 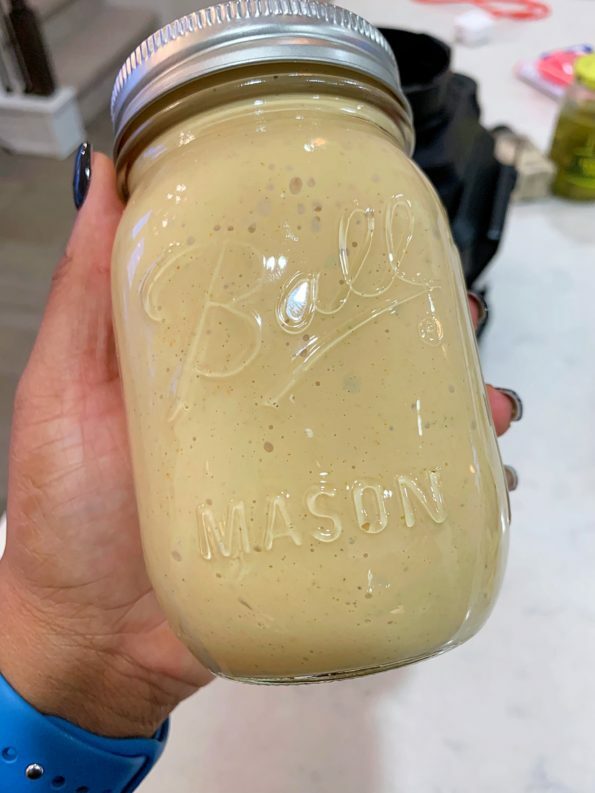 Pour into a mason jar or jar with lid. Add Ground meat in a bowl and season with Slap Ya Mama or season salt. Season Generously. 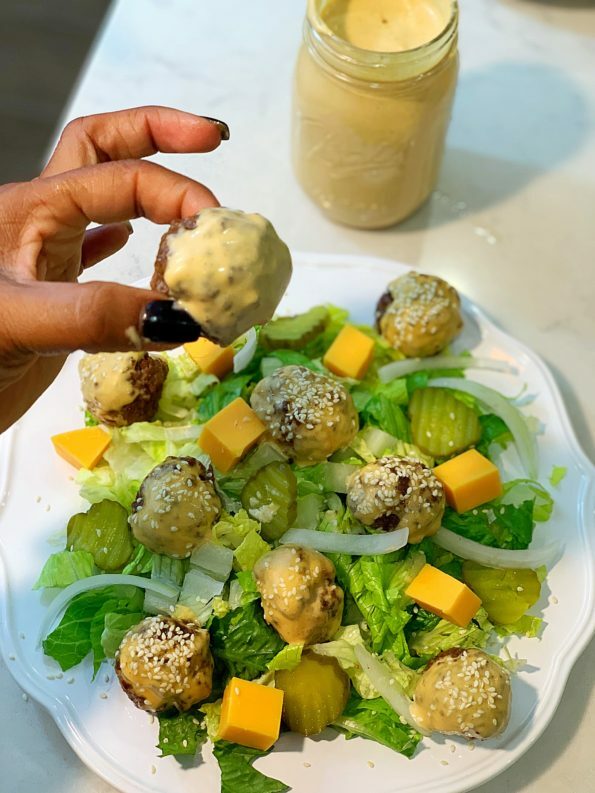 Make small - medium bite size meatballs. Add meatballs to a non-stick pan. 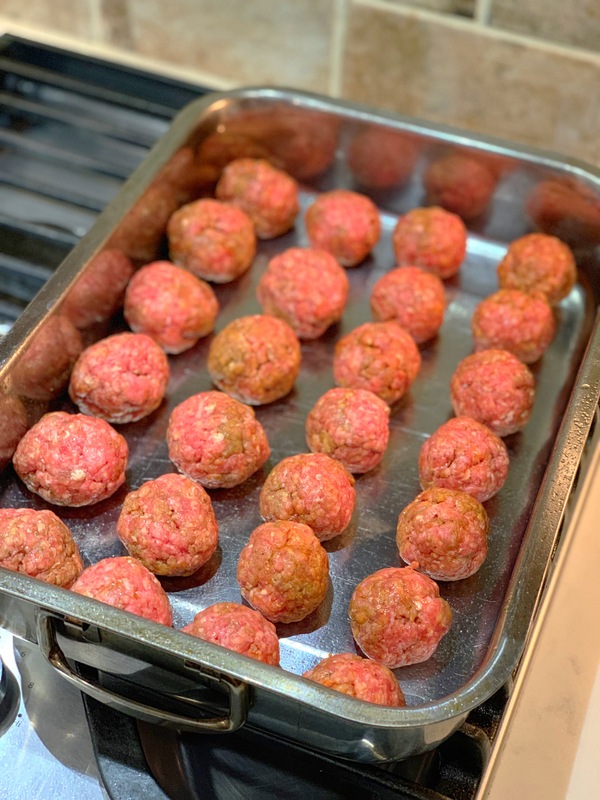 Broil meatballs in a 550 degree oven for 13-18 minutes depending on size. Remove dressing from the refrigerator. Shake. Put aside. 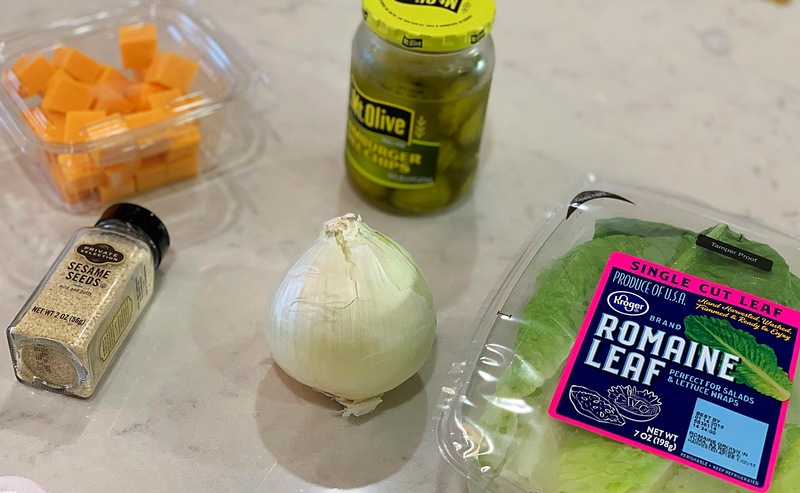 Layer bowl or plate with shredded romaine lettuce or lettuce of choice. Top Meatballs with sesame seeds. Add Slivers of White onions. Drizzle additional dressing on the salad if needed.